Selling your home might look and sound easy on the surface but, behind the scenes, it’s complicated with a lot of details and hurdles to work out. Far too often I hear of someone who hired an agent only to be completely unsatisfied, let down, or downright angry with how the sale turned out for varying reasons. Selecting the right agent to sell your home is a very important decision. Many people work with the first agent they come across and that’s recipe for disaster. When you’re talking about selling (or buying for that matter) one of life’s biggest investments you want to work with the best of the best. Selecting an agent because they’re a family member, friend, or any other reason that isn’t tied to their skill, level of service, and how they conduct business is a mistake. Ask for recommendations, do your research and conduct interviews to find an agent you not only know is qualified for the job but, who is also an agent you like and trust. I’m not talking about putting a sign in the yard or putting your home in the MLS. Those are basics. You want your home to sell for top dollar in the shortest time possible and that means you want an agent who has a custom marketing plan for your home. Ask to see what the agent has done to market their past listings. Seeing examples of their work will show you if it’s the quality of marketing you want for your home. Are the photos high quality with the right lighting? Staging? Do they have a well-established blog that ranks well with Google? Do they target market on social media? Have they thought about who is likely to buy your home? If you have a 1 bedroom, 1 bath condo the odds of a family with children purchasing it aren’t high so you need an agent that knows who and how to target. Marketing is not just throwing things against the wall to see if they stick. What Do You Think My Home Is Worth? Pricing is a key component of a listing agent’s job. An agent has to price your home just right and that means they need to understand the current market and be able to thoroughly research and correctly interpret data. Data is readily available to the public but, data is worthless if you don’t know how to analyze and correct interpret it. Ask the agent why they think your home is worth the amount they tell you. if they’re a great agent they’ll be prepared to show you the data and then explain it in detail. And please, do not just go with the agent who gives you the highest number. Your home is only worth what a buyer is willing to pay and if an agent gives you a number that isn’t supported by market data your home isn’t going to sell. There are unfortunately some agents who will tell you what you want to hear just to get you to agree to list with them and then you’ll be facing a price drop when your home doesn’t sell. What Is Your Average Sale To List Price Ratio On Past Listings? If you are comparing agents and ask this question you will get an idea of how accurate the agent is on pricing a home and how well they can negotiate. Be sure to ask for the ratio from the original list price. Working with an agent who has a strong sale to list price ratio average can be the difference in thousands of dollars. For example, with an average sale price of $500,000 - if one agent has an average sale to list price ratio of 95% and another agent has one of 97% that’s a difference of $10,000! What Type Of Communication Will You Provide? You’re entering into a relationship when you hire an agent to sell your home and while it might be tied to business it’s like any other relationship – good communication can be the difference in success and failure. Your agent should be able to tell you how often you can expect to receive updates, what hours of the day you can contact them, how long you can expect for it to take them to respond, and what methods of communication they use. An excellent agent is going to ask you what methods of communication you prefer because they’ll want you to feel comfortable and well informed. Another question to ask about communication is if you will exclusively be working with the agent or if the agent has a team that will be involved. If you want to work with an agent who operates their business by providing exclusive contact with you this is an important question to ask. There is no right or wrong answer, it’s just a matter of what you are looking for in an agent. Not every agent operates their business the same way. I think this is the most important question you can ask an agent. Anyone can ask how much you want to sell your home for, how many beds and baths it has, or even what you want in a new home but, an agent’s priorities and mindset are exposed by the questions they ask you. As with any other professional, not all agents are created equal. An agent who takes the time to get to know you, learn about your goals and what your priorities are is priceless. What differentiates a good agent from a rock star agent is their ability to learn, understand, and deliver the level of service you’re looking. This is far from an all-inclusive list of questions to ask an agent when it’s time to sell your home. It's to give you an idea of where to start to get a dialogue going with the agents you select to interview. Do your homework and work with an agent who you trust and feel confident will not only provide your home with the best marketing but, who will also provide you with the best service. This is excellent advice to share with prospective home sellers. Good morning Amanda - what a great set of questions and sellers would do well to educate themselves on what is important. Amanda, great questions. Selecting the right agent to sell your home is a very important decision. Uh oh....I think I feel a re-blog coming on ! Hi Amanda -- it's .better to question sooner than later. Time is definitely of the essence. Amanda...Great points. Your reference to online presence and social media strategies are critical and gaining importance as the industry moves forward. It is hard to believe how many prospective buyers start their online home search from a smartphone. Once at the end of a home inspection a lady insisted on asking me questions she got from the Internet. I said fine. She proceeded to ask over 200 questions! Most did not apply to her house. "Ma'am, you don't have an oil furnace..." for example. No matter, she was told she needed to ask them and did! These five are common sensical and good however! Amanda- I love this list, especially the average sale to list price ratio! Sellers need to vet their agents thoroughly. I like all your tips Amanda, but your last one "Do you have any questions for me?" is my favorite. Get to know who yourt client is and give them the opportunity to ask the important questions that they really want the answer to. Jay Markanich I think you need to write a book! The things you see and experience crack me up. Over 200 questions would feel like an interrogation! Kathy Streib thank you! It makes such a difference and yet so many just don't do it. So important! Endre Barath, Jr. you're exactly right. Sad but, true. Lawrence "Larry" & Sheila Agranoff. Cell: 631-805-4400 it's my favorite too. I love hearing their back story and their goals. It's fun to learn where we can be of service. These are great tips for sellers who are ready to hire a real estate agent to get their home sold. The last one is my favorite as well! How did I ever miss this wonderful post, Amanda? Got here through Carol Williams' Second Chance Saturday. I love this one and am so glad that Carol featured it! I've been missing my time in the Rain and this one totally bypassed me! I agree that the last question is the most important - this reflects the professionalism that we provide that goes beyond putting a sign in the yard and their homes in MLS. The preparation is so very important and we need to grasp every teaching opportunity we can to better serve our clients. 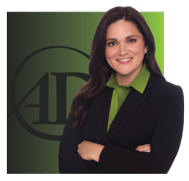 Hi Amanda S. Davidson - Do you have any questions for me (seller)? This is your opening to get to know the seller and their goals. Amanda S. Davidson - These are all good points! Pricing too high can have negative effects on the goal. I think the one that stands out the most to me is paragraph two under "What Do You Think My Home Is Worth?" These are excellent questions, Amanda. Pricing, of course, is key, and communication, for me, is a biggie. One of the major complaints consumers have about their agents is lack of communication. This is an excellent blog and you make great points! Post © 2019 Amanda S. Davidson, Alexandria Virginia Homes For Sale (Amanda Davidson Real Estate Group ). Design © 2019 ActiveRain, Inc. All rights reserved, Inc.